The introduction of biometric self-boarding technology is aimed at transforming passenger experience and creating future-ready airport, it said, adding the move will also bolster government's proposed DigiYatra project. Bengaluru International Airport on Thursday said it plans to roll out facial recognition facility for the passengers of some select airlines from early next year as it seeks to make the boarding process paperless. The private airport operator has inked a pact with the Lisbon-based digital and biometric solutions services provider Vision-Box to implement the technology, Bangalore International Airport (BIAL) said in a release. Biometric technology will identify passengers by their face as they move across the airport, avoiding stops and the repeated presentation of boarding passes, passports or other physical identity documents, the release said. The DigiYatra project seeks to minimise paperwork for air travel under a digital system for airport entry and boarding flights using a passenger's Aadhaar number and mobile phone. "Vision-Box's biometric technology, combined with its passenger flow platform will enable a seamless journey for our passengers, from registration to boarding," said Hari Marar, managing director and chief executive officer, BIAL. The first phase of the roll out will be completed in the first quarter of 2019, with Jet Airways, Air Asia and SpiceJet passengers as the first users, the company said. 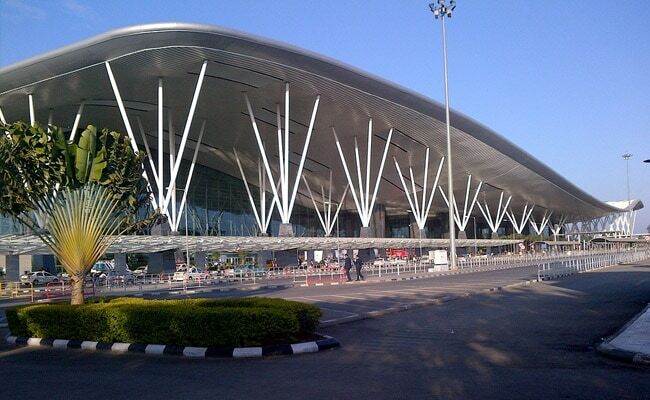 With the implementation of the biometric technology, Bangalore airport will become the first aerodrome in the country to have an end-to-end solution for paperless air travel, it added. Canadian NRI Prem Watsa-owned Fairfax owns 54 per cent and Siemens Projects Ventures 20 hold per cent in BIAL. Of the remaining 26 per cent, Karnataka government and the Airports Authority of India holds 13 per cent each, respectively. For more Bengaluru stories, click here.